Arthur St. Clair (March 23, 1737 [O.S. 1736] – August 31, 1818) was an American soldier and politician. Born in Thurso, Scotland, he served in the British Army during the French and Indian War before settling in Pennsylvania, where he held local office. During the American Revolutionary War, he rose to the rank of major general in the Continental Army, but lost his command after a controversial retreat from Fort Ticonderoga. After the war, he served as President of the Continental Congress, which during his term passed the Northwest Ordinance. He was then made governor of the Northwest Territory in 1788, and then the portion that would become Ohio in 1800. In 1791, St. Clair commanded the American forces in what was the United States's worst ever defeat against the American Indians. Politically out-of-step with the Jefferson administration, he was replaced as governor in 1802. In 1757, St. Clair purchased a commission in the British Army, Royal American Regiment, and came to America with Admiral Edward Boscawen's fleet for the French and Indian War. 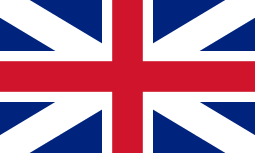 He served under General Jeffrey Amherst at the capture of Louisburg, Nova Scotia on July 26, 1758. On April 17, 1759, he received a lieutenant's commission and was assigned under the command of General James Wolfe, under whom he served at the Battle of the Plains of Abraham which resulted in the capture of Quebec City. By the mid-1770s, St. Clair considered himself more of an American than a British subject. In January 1776, he accepted a commission in the Continental Army as a colonel of the 3rd Pennsylvania Regiment. He first saw service in the later days of the Quebec invasion, where he saw action in the Battle of Trois-Rivières. He was appointed a brigadier general in August 1776, and was sent by Gen. George Washington to help organize the New Jersey militia. He took part in Washington's crossing of the Delaware River on the night of December 25–26, 1776, before the Battle of Trenton on the morning of December 26. Many biographers credit St. Clair with the strategy that led to Washington's capture of Princeton, New Jersey on January 3, 1777. St. Clair was promoted to major general in February 1777. St. Clair was a member of the Pennsylvania Council of Censors in 1783, and was elected a delegate to the Confederation Congress, serving from November 2, 1785, until November 28, 1787. 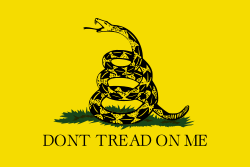 Chaos ruled the day in early 1787 with Shays's Rebellion in full force and the states refusing to settle land disputes or contribute to the now six-year-old federal government. On February 2, 1787, the delegates finally gathered into a quorum and elected St. Clair to a one-year term as President of the Continental Congress. Congress enacted its most important piece of legislation, the Northwest Ordinance, during St. Clair's tenure as president. Time was running out for the Confederation Congress, however: during St. Clair's presidency, the Philadelphia Convention was drafting a new United States Constitution, which would abolish the old Congress. Under the Northwest Ordinance of 1787, which created the Northwest Territory, General St. Clair was appointed governor of what is now Ohio, Indiana, Illinois, Michigan, along with parts of Wisconsin and Minnesota. He named Cincinnati, Ohio, after the Society of the Cincinnati, and it was there that he established his home. When the territory was divided in 1800, he served as governor of the Ohio Territory. As Governor, he formulated Maxwell's Code (named after its printer, William Maxwell), the first written laws of the territory. He also sought to end Native American claims to Ohio land and clear the way for white settlement. In 1789, he succeeded in getting certain Indians to sign the Treaty of Fort Harmar, but many native leaders had not been invited to participate in the negotiations, or had refused to do so. Rather than settling the Indian's claims, the treaty provoked them to further resistance in what is also sometimes known as the "Northwest Indian War" (or "Little Turtle's War"). 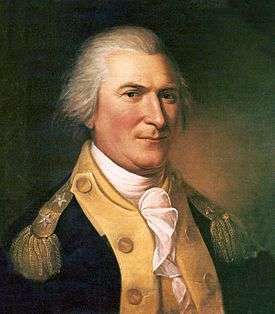 Mutual hostilities led to a campaign by General Josiah Harmar, whose 1,500 militiamen were defeated by the Indians in October 1790. 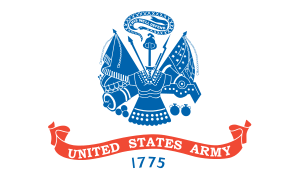 In March 1791, St. Clair succeeded Harmar as commander of the United States Army and was commissioned as a major general. He personally led a punitive expedition involving two Regular Army regiments and some militia. In October 1791 as an advance post for his campaign, Fort Jefferson (Ohio) was built under the direction of General Arthur St. Clair. Located in present-day Darke County in far western Ohio, the fort was built of wood and intended primarily as a supply depot; accordingly, it was originally named Fort Deposit. One month later, near modern-day Fort Recovery, his force advanced to the location of Indian settlements near the headwaters of the Wabash River, but on November 4 they were routed in battle by a tribal confederation led by Miami Chief Little Turtle and Shawnee chief Blue Jacket. More than 600 soldiers and scores of women and children were killed in the battle, which has since borne the name "St. Clair's Defeat", also known as the "Battle of the Wabash", the "Columbia Massacre," or the "Battle of a Thousand Slain". It remains the greatest defeat of a US Army by Native Americans in history, with about 623 American soldiers killed in action and about 50 Native Americans killed. Although an investigation exonerated him, St. Clair resigned his army commission in March 1792 at the request of President Washington, but he continued to serve as Governor of the Northwest Territory. A Federalist, St. Clair hoped to see two states made of the Ohio Territory in order to increase Federalist power in Congress. However, he was resented by Ohio Democratic-Republicans for what were perceived as his partisanship, high-handedness, and arrogance in office. In 1802, his opposition to plans for Ohio statehood led President Thomas Jefferson to remove him from office as territorial governor. He thus played no part in the organizing of the state of Ohio in 1803. General St. Clair died in poverty in Greensburg, Pennsylvania, on August 31, 1818 at the age of 81. His remains are buried under a Masonic monument in St. Clair Park in downtown Greensburg. His wife Phoebe died shortly after and is buried beside him. A portion of the Hermitage, St. Clair's home in Youngstown, Pennsylvania, was later moved to Ligonier, Pennsylvania, where it is now preserved, along with St. Clair artifacts and memorabilia at the Fort Ligonier Museum. St. Clair Street in Frankfort, Kentucky, was named for the general by Gen. James Wilkinson, who laid out the town that became the state capital. The street's north end is at the Old Capitol, and near its south end is the Franklin County Court House; both were designed by Gideon Shryock. 1 2 3 Gregory Evans Dowd. "St. Clair, Arthur", American National Biography Online, February 2000. ↑ Smith, St. Clair Papers, 1:2. ↑ Fischer, David Hackett (2006). Washington's Crossing. Oxford University Press. pp. 313–14. ISBN 0-19-518159-X. ↑ Leroy V. Eid, "American Indian Military Leadership: St. Clair’s 1791 Defeat." Journal of Military History 57.1 (1993): 71–88. ↑ William O. Odo, "Destined for Defeat: an Analysis of the St. Clair Expedition of 1791." Northwest Ohio Quarterly (1993) 65#2 pp. 68–93. ↑ Dumas Malone,Jefferson The President: First Term, 1801-1805, Boston: Little, Brown and Company, 1970, pp. 243-44.